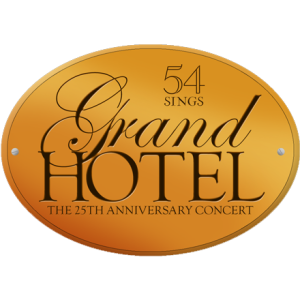 Peter Filichia and James Marino talk with Walter Willison about the upcoming Grand Hotel: The 25th Anniversary Concert at 54 Below. Peter gives us a report from London including: Miss Saigon, Women on the Verge of a Nervous Breakdown, Charlie and the Chocolate Factory, and The Play That Goes Wrong. Michael Portantiere reviews The Glass Menagerie @ The Masterworks Theater Company, Merrily We Roll Along @ The Astoria Performing Arts Center, and Our Guy, Cy: The Songs of Cy Coleman @ 54 Below. This Week on Broadway has been coming to you (mostly) every week since March 16, 2009 and is the longest running Broadway and theatrical podcast with more then 300 shows giving thousands of reviews and hundreds of interviews. PETER FILICHIA is a theater journalist and historian with a number of books, his most recent is, “The Great Parade”, available everywhere. His columns appear at MTI, Kritzerland, Masterworks Broadway, Broadway Select and many other places. MICHAEL PORTANTIERE is a theater reviewer and essayist, whose work appears at TalkinBroadway, The Sondheim Review and BroadwayStars. He is also a theatrical photographer whose photos have appeared in The New York Times and other major publications. Darren Criss Set to Host BROADWAY JUNIOR at the Imperial Theatre!